An independent report commissioned by the audit committee of troubled Dewan Housing Finance Corporation (DHFL) has given a clean chit to the firm on allegations of routing money through shell companies. However, some money may have been lent to entities to buy shares of a company floated by the promoters of DHFL. The audit report said loans given for slum rehabilitation projects to four real estate companies were probably used to buy shares of another real estate company (Darshan Developers) held by Kyta Advisors. Kyta Advisors and its eponymous sister companies were promoted by the Wadhawans, also promoters of DHFL, and engaged in various businesses, including real estate and film production. They share the same address, that is HDIL Tower in Bandra, Mumbai, which is also the address of DHFL. DHFL sanctioned and disbursed loans to the tune of Rs 2,000 crore to Notion Real Estate Pvt Ltd, Earleen Real Estate Developers Private Limited, Prashul Real Estate Private Limited and Edweena Real Estate Private Limited as project loans for slum development. These loans were used to buy shares of Darshan from Kyta. “Our examination of available financial statements of Darshan Developers indicates that the shareholding has indeed undergone a change during the period of our review and it is highly probable that certain amounts lent to the four companies may have been used to purchase shares of Darshan Developers aggregating Rs 1,424.16 crore from Kyta Advisors and other instruments worth Rs 299.28 crore (total of Rs 1,723.44 crore),” the audit report on DHFL said. The report also observed that the finance committee, which sanctions loans above Rs 200 crore, consists of promoters Kapil Wadhawan, Dheeraj Wadhawan and an independent director. “The promoter-directors can be said to have significant influence in the loan sanction process for amounts exceeding Rs 200 crore,” the report said. Apart from these two observations, the audit report seemed to have absolved DHFL promoters of any wrongdoing, contrary to what news portal Cobrapost alleged. The news portal had alleged that DHFL promoters used shell companies, 'dubious pass through entities’, and ‘dubious borrowers’ aggregating 73 entities, including 26 shell companies, to siphon off public funds. The audit report of TP Ostwal and Associates said the company or the owners did not promote any of the 26 shell companies. The independent audit report examined 39 of the 64 allegations leveled against the housing finance company by Cobrapost. “We were unable to find evidence to support the allegations that the promoters have concealed shareholding in the company. Neither did we find any evidence to support the allegation of insider trading,” the audit report of TP Ostwal on DHFL stated. As of December 2018, loans disbursed to slum rehabilitation projects was to the tune of Rs 7,021 crore. Moreover, the report mentions that there were certain instances where the company deviated from the terms of sanction of loans having major risk implications. Certain lapses and departures from the standard operating procedures and policies laid by the company have been identified in the report. These lapses point to a deficiency in adherence with policies in several instances — the risk of which needs to be examined by the company. “Though the company is required to monitor post disbursal of funds by the borrowers, our examination indicates the monitoring in respect of 15 borrowers (loans amounting to Rs 7,485 crore) is significantly inadequate,” added the report. 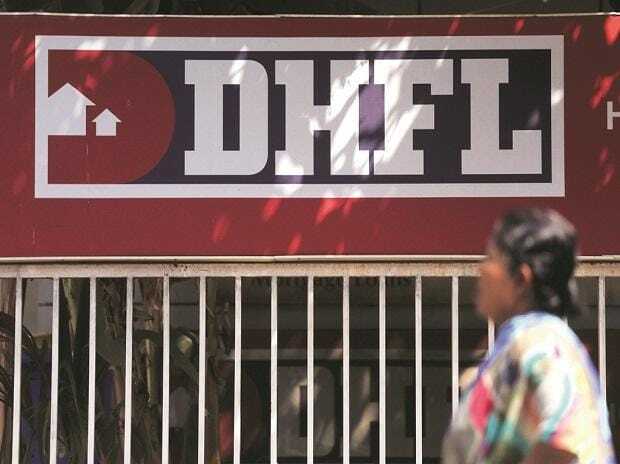 Moreover, the audit report found no evidence in the allegations levelled against DHFL of tax fraud. The audit report also did not find any merit in the allegations that Rs 14, 282 crore disbursed to 45 companies were Sahana group and Wadhawan group firms. “Loans were disbursed during our review period to only 10 of the alleged 45 entities amounting to Rs 4,715 crore, of which Rs 1,640 crore has been repaid by the borrowers up to December 31, 2018. No loan was given to any of the other 35 entities during the period under review,” the report mentioned. 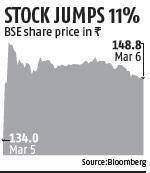 Shares of DHFL ended at Rs 148.80, up 11.04 per cent from the previous day’s close on the BSE.